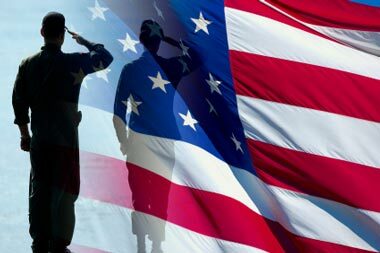 Camp Stand Down Lives, Inc.
At BulzEyePro®, we salute the millions of men and women who have served in our armed forces - all of whom have risked their lives to protect our way of life, our people, our land, and our allies. BulzEyePro® donates 100% of the profits for all products sold to Camp Stand Down Lives, Inc., a non-profit U.S. Veterans service organization, dedicated to helping all honorable veterans in need. Camp Stand Down Lives advises veterans on V.A. medical, monetary, educational and career training benefits, employment contacts and references, food, clothing, housing, and transportation. Too many of these veterans are homeless or living at or below poverty level, become transients out of survival necessity, and are too proud to ask for help. We actively seek these individuals and let them know that we appreciate what they have done and show our appreciation with a "hand UP" not a handout. These veterans have earned no less. Help us to locate and give our veterans in need a "Hand UP"
All people at Camp Stand Down Lives, Inc. are volunteers, many of whom are veterans themselves. Some of these volunteers have benefited from Camp Stand Down's approach and believe strongly in our policies, taking it upon themselves to reach out to other veterans. This creates a grassroots, pyramid-style growth that has created a great need for money to successfully help those veterans that we can find and all who contact us.